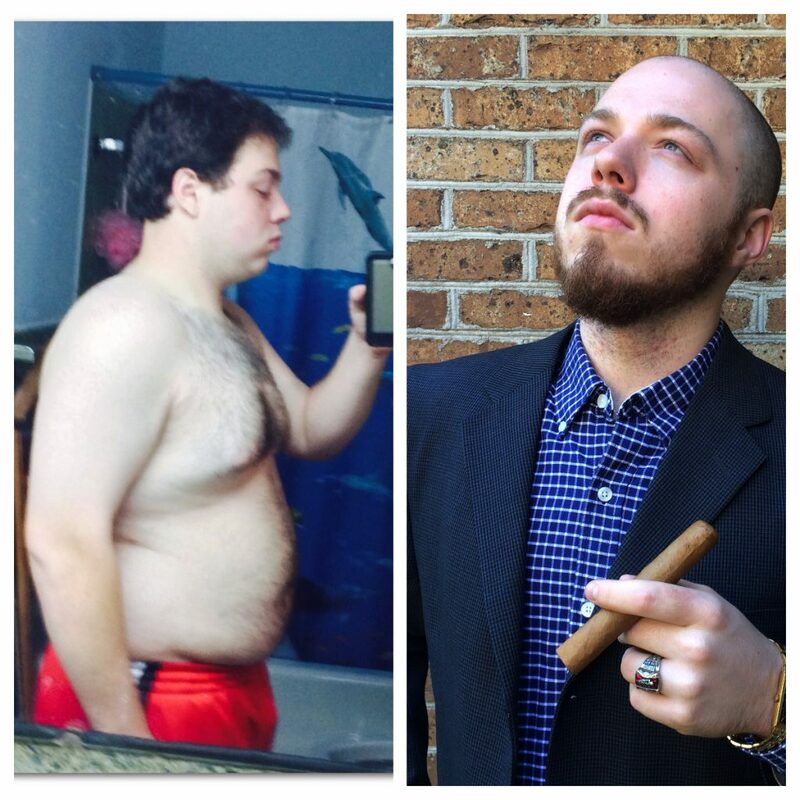 In 2014 I was 20 years old, lost, and 245 pounds. I didn’t know where to start all I knew was that the traditional path wasn’t for me. I had tried the college thing and had my rose colored lenses ripped off early on. After one year in college I went out into the real world. Instead of college I used books and eventually in early 2014 I found Bold and Determined. I still remember that day clearly. At the time I was the manager of a small engine repair shop. The mechanics were working and I was in my office playing around on the computer. I worked 40 hours a week for the great pay of $9 per hour. I wanted to be in business for myself yet here I was hardly getting by. It wasn’t all doom and gloom though because out of that misery I searched for a solution. I typed into Google, “Top 100 Personal Development Blogs” and browsed the list of websites that popped up. Within a matter of seconds the only site that stood out was called Bold and Determined. I clicked over and read Victor’s NZT article. As I was reading my boss came over and so I clicked off. Didn’t wanna make massa mad. Later that evening I decided to search for more answers. I wanted to make money online but I had no idea what to do so I Googled, “The No B.S. Way to Make Money Online” and guess what site I was brought to? I began reading Victor’s articles and one by one I started putting the pieces together. From the importance of discipline to seeing how to make money online. Like most young men of today I didn’t have a male role-model. Bold and Determined became my role model. Fast-forward to November 2014 and I ditched my previous site. I started a blog with BADNET and began writing. There’s a certain power to expressing yourself on a blog. It forces you to look at life and yourself objectively. You learn about both your strengths and your weaknesses. It forces you to look at the man in the mirror. I decided that I wasn’t going to be stressed out of my mind everyday and so I found another job. My next job was at a car dealership and this is where I became possessed with fire. Everyday the guys that worked there came in hungover and hated every second of their day. Some were in their late 20’s and others in their 40’s. I would observe them and wonder why they came in day after day if they hated their job so much. Yeah they had families and all of the other trappings of America, but there had to be something else. Without those two things you don’t have a chance in this world. It is up to you to get them or else you will just be used by the system. If you don’t take responsibility for them then you will be like those guys I used to work with. Life you hate, fat wife, and live paycheck to paycheck. On another note if you take responsibility like me and so many other people have then you have a fighting chance. You can take your shot at getting your piece of the pie on your terms. You can quit your job and make your own money. But it all starts with the decision to take FULL RESPONSIBILITY. You have to get the right information and you have to be determined when others doubt you. I’m writing this to you from my favorite cafe in Charleston. I see people coming and going. Some dressed up in suits and stressed. Yet here I am wearing a shirt with my face on it, khaki jeans, and not a care in the world. This life was only a dream a year ago. I remember those days at the car dealership where all I wanted to do is work on my business. 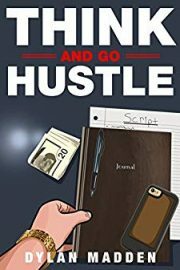 I would come home after work and get straight to work on my blog and side-hustles. While others partied, I worked. Then in April of 2016 I quit my job at the dealership. 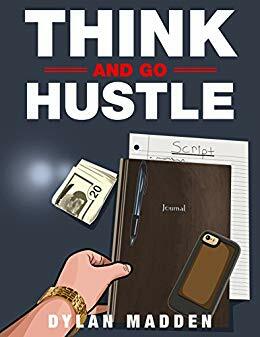 I began hustling by any means and I never stopped. Since then I’ve lived in LA, traveled around the East-Coast, and am making more travel plans. I wake up and go forward with focus instead of hitting the walls lost in my own thoughts. This isn’t a accident. I’ve struggled and thrived and so will you. This is what the two of us are made for. We are meant to be the masters of our destiny. Before you go off to begin your story with Bold and Determined Volume One let me give you two steps. Determination is what will get you through the hard times. It is also what will push you to the top when you start winning. Without determination I would’ve never quit my job and I wouldn’t be living life on my terms now. There is no way around this. You need determination to make your dreams come true. Determination is what will let you stay up until 4 am working on your business and then go to your day job at 8 am. Determination is what will make you quit your job and live a life that most only sit around overthinking about. If you have determination then move onto step 2. You can’t consume what the masses do and then live life free. As you get the right information you will have better ideas which leads to better execution. Not only that but you will know what works and what doesn’t. You can’t depend on college so you will have to depend on yourself. I followed those two steps and I have done well for a 23 year old. I’ve transformed my mind, body, and bank account. In less than 3 years I have become a different person and it all started with the decision to take responsibility. Now it is your turn to take responsibility for yourself. I read B&D and then applied what I learned. Save yourself some time and get the best of Bold and Determined all in one book. 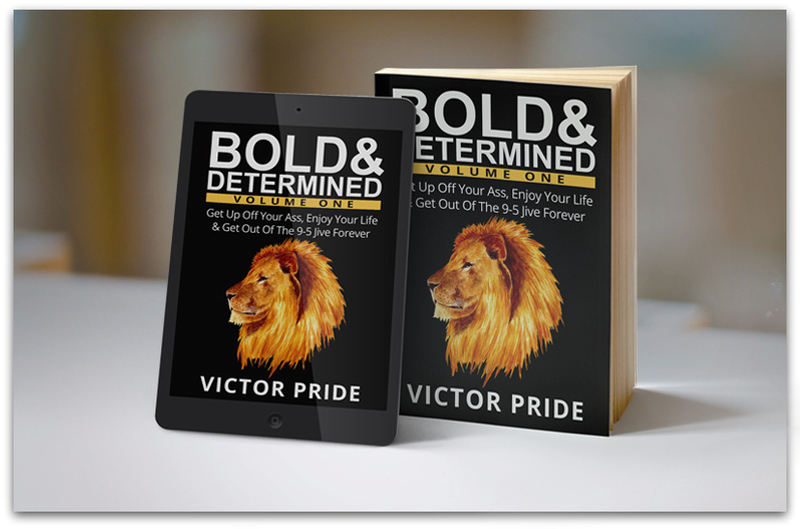 Click here to buy Bold and Determined Volume One. Seems like we all had that “missing element” in us and B&D sparked it. Thanks for the post. Agreed brother. Sent you an email. Victor Pride really helped tons of guys (inclusive me too). I wish he can also go to youtube and create a home study course. Thank you for your comment PJ. Good to see you back here. Good article. B&D changed my life as well. Victor is a great man. I actually just started my blog and I have been enjoying it. Be great! Welcome. Add an opt-in form on your blog. Emails will be important.